It’s that time of year when people are looking to better their finances as part of their New Year’s resolutions, and many decide one way to do this is through the 52 week money challenge. The challenge is a simple and effective way to save money that isn’t complicated. All one has to do is save $1 corresponding to the week of the year. For example, during week one, you would save $1. During week two you would save $2 and during week three you would save $3. You continue this every week of the year until the last week when you would save $52. By doing this each week, at the end of the year you will save $1,378. The modified 52 week money challenge allows you to choose how much you save each week from $1 to $52. Instead of going in order from $1 to $52, you can choose any amount that is still left on your challenge chart. Since it’s difficult to predict when you will have a week where you can’t save as much as you hoped, this modified challenge gives you more flexibility to succeed. The goals should always be to save the highest amount still on your chart, but if you can’t for whatever reason, you can substitute that for a smaller amount. Some people get paid bi-weekly and find it easier to save the money for the challenge when they get paid, rather than each week. They find that when it comes to week 2 after they have been paid, they may not have the money left to save. For them, it’s easier to pay the money for the two weeks as soon as they get paid and they have it available. You can also try the twice a month money challenge if you get paid this way rather than bi-weekly. Much like the issue that people who get paid bi-weekly have, those who get paid monthly also can find it difficult to save the money the week before they’re paid. Many find it easier to pay for the entire month when they get paid and have the money. It’s the classic “you don’t miss what you can’t see” philosophy behind pay yourself first. For those who want a bit more of a challenge than simply $1 a week, they can try the 52 week double challenge. In this challenge all the numbers are doubled, so at the end of the year you end up with $2,756 instead of $1,378. It’s a great challenge for those who believe they can save a little more and want to challenge their savings a bit more. For those who are really looking to jumpstart their savings, the mega 52 week money challenge might be exactly what they’re looking for. Instead of $1 a week, the mega challenge shoots for $5 a week. For those able to complete the mega challenge, they will find an extra $6,890 in their bank account at the end of the year. Also called the 52 week half challenge, this one uses $0.50 each week instead of $1. This makes it easier to save the money, but it also means you’ll end up with half as much at the end of the year ($674 instead of $1,378). For those who want to take the challenge, but start a bit slower, this can be the perfect alternative. On the opposite end of the double and mega challenges is the 52 week change challenge. In this challenge, you simply save the number of coins for each week of the year. In week one you save a single coin, while in week fifty-two, you save 52 coins. The amount you save will depend on the value of the coins you save each week. Another option is to save specific coins during the year such as a 52 week challenge for pennies, nickels, dimes and quarters. The 52 week bill challenge is like the coin challenge, but uses bills instead. In the first week, you save a single bill (it could be a $1, $2, $5, $10, $20, $50 or $100 bill), week two, 2 bills and week fifty-two, 52 different bills. In this challenge you would save a minimum of $1,378 (if you only used $1 bills), but it could be much more depending on the bill denominations you save each week. Some people find that in order to save money, they need to do it on a daily rather than weekly basis. For those who want to make sure saving money becomes a habit this year, the 365 day money challenge can be a great alternative. In this challenge, you begin with a penny on day one and end with $3.65 on day 365. None of the above money challenges meet exactly what you’re looking for? That isn’t a problem. You can simply create your own 52 week challenge which meets the exact specifications and needs you want. You know yourself better than anyone else, so creating your own specific challenged will give you the best chance of completing it. For all these challenges, it’s important to remember the actual amount you decide to try and save is not nearly as important as creating the habit of saving money on a consistent basis. Once this habit has been formed, you can then increase the amounts you save to meet your current financial situation. While each challenge is an important step to jump-start your savings, it’s the habit of consistency which will help your finances in the long run. Fidelity Investments® released their fifth annual study on financial New Year’s Resolutions and found that 54% of Americans (an all-time high) will consider a financial resolution for 2014. The most popular resolution by far was to save more money next year, primarily for long term goals like retirement or college. Unfortunately, almost a third of respondents stated that in relation to other popular resolutions, such as exercising more, quitting smoking or finding a new job, financial resolutions were more difficult to keep. If you need some guidance creating a plan, Fidelity has an online annual roadmap. Start the year by revisiting your budget in January. These homemade canning jar soup mixes are the perfect frugal holiday gift! Learn how to make six different flavors. Mason Jar Snow Globes: Vintage Cars & Trucks in Mason Jars. 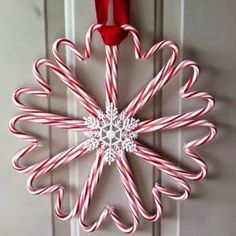 These make the best Christmas decorations! How To Quick Flip Furniture For Fun And Profit.